Refuges are indeed a unique land management system because the primary purpose is one founded in wildlife and habitat protection first and foremost. It is through this lens that all other decisions are made – from what types of habitat to manage and protect to what types of public uses should be permitted and facilitated. Most would be surprised to know that public uses on refuges are only secondary to the mission of ensuring the ecological integrity of the refuge and fulfilling the purpose the refuge was established for. Many more would probably be surprised that anytime a National Wildlife Refuge purchases land, this land is closed to all public uses. Only when the refuge is methodically opened for those uses which are deemed “compatible” with the purposes of refuge or mission of the Refuge System are they allowed. It is for this reason that the National Wildlife Refuge System has adopted boundary signs which read “Unauthorized Entry Prohibited” – the use has to be authorized by the USFWS in order to be permitted on those lands. There are some public uses which are automatically given higher priority over others in the Refuge System often referred to as the “Big 6”: wildlife observation, education, interpretation, photography, hunting and fishing. Although these uses are priorities they are not all necessarily compatible on every refuge. Additionally where these uses are permitted, they are typically permitted in a fashion to ensure that they remain compatible. From here it gets rather complicated as each use is evaluated independently as well as together to ensure that they are and can remain compatible uses. Policy directs us mainly through the Appropriate Uses Policy and Compatibility Policy (if interested view these here: http://www.fws.gov/policy/603fw1.html , http://www.fws.gov/policy/603fw2.html). These basically tell the refuge how to evaluate what proposed uses are #1 appropriate to occur on refuges and #2 compatible. Further guidance is found within a rather interesting policy called the biological integrity, diversity and environmental health policy (view here: http://www.fws.gov/policy/601fw3.html). This policy states plainly that “.. the fundamental mission of our System is wildlife conservation: wildlife and wildlife conservation must come first.” Biological integrity, diversity, and environmental health are critical components of wildlife conservation. This policy to my knowledge is unique to the Fish and Wildlife Service and that other land management agencies, even those with similar management and focus, don’t have language which clearly defines wildlife and wildlife conservation as the first and foremost priority. So what are refuges? They are different. 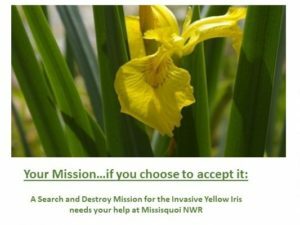 They are places where wildlife comes first and public uses are permitted when they don’t interfere with the purpose of the refuge or System Mission, including ensuring the ecological integrity of the land(s) the refuge is responsible for. Refuges are part of a National System almost 113 years old, with 556 units including over 150 million acres and make up some of the best places left for our wildlife in an ever changing landscape. And yes, refuges are different; they are not a park, nor a recreation area. They are a place where wildlife live and humans visit. When you do visit Missisquoi I hope that those signs which shout out “Unauthorized Entry Prohibited” don’t scare you off. 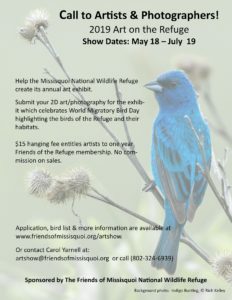 Rather I hope that in visiting the refuge you find a special place and take heart in the fact that there still are areas left in the United States protected and managed for wildlife, plants and natural processes. And from your visit I hope you begin to feel connected to nature and wildlife. It is through this connection that I believe the true understanding of refuges and their role in the conservation of the Nation’s fish, wildlife and plant communities is made. And also I hope that a visit also includes stopping at our Visitor Center on Tabor Road. Feel free to ask for me if you want to talk more about what makes a refuge a special place!